Stop by the Visitor Center for helpful suggestions and answers to your questions. The Sedona Chamber of Commerce & Tourism Bureau Visitor Center offers first class visitor services. Our visitor center assists more than 300,000 visitors a year, not to mention the thousands of visitor inquires via phone and email. While in Sedona, make sure you visit our Uptown Visitor Center for maps, directions, suggestions or to purchase your Red Rock Pass or Annual National Park Pass. 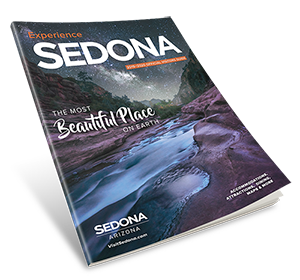 Volunteering: If you are a resident of Sedona and are interested in volunteering at the Visitor Center, please email Brenda Andrusyszyn. Volunteering at the Visitor Center is a great way to meet people from all over the world and pass along your love of Sedona and the area. Stop by our center at 331 Forest Rd in uptown Sedona.